Everyone knows what a pawn shop is. The concept is pretty common around the world. But, for 17-year-old Chase Reed, he has put his own spin on it and applied the idea to high-end and dead-stock sneakers in the form of his first venture. 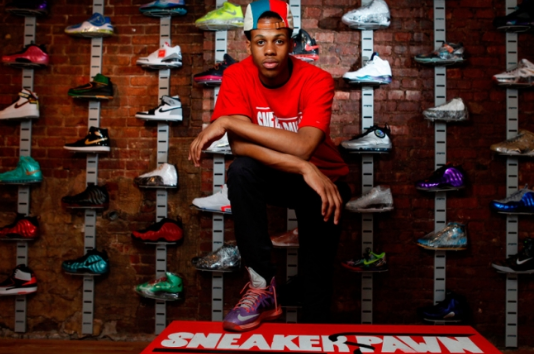 Chase, a student at the Frederick Douglass Academy in Harlem New York, had the bright idea of capitalizing on the high-end sneaker trend and has opened the world’s first sneaker pawnshop, Sneaker Pawn.